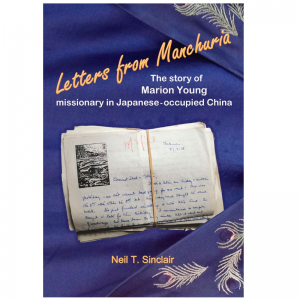 Letters from Manchuria: The story of Marion Young, missionary in Japanese-occupied China. 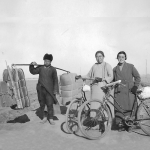 Coming all the way from Manchuria in 1935, Marion Young’s Irish spirit of adventure and fun shines through, bringing this unique story to life. Marion’s writing is lyrical without ever being pretentious and her sense of humour emerges even when her surroundings are quite grim, as does her delight in using a little Irish blarney, sometimes to get out of extremely risky situations. Her story is full of suspense as well. 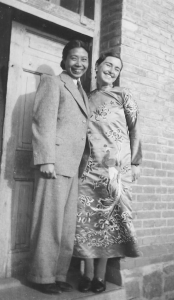 The period of Japanese occupation was precarious for everyone and then with the start of the Second World War, the dangers for Westerners living in China escalated tenfold. This hardback book is a fascinating read and full of photographs – well worth taking a look at. 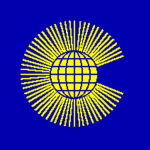 Today, 12th March 2018, is COMMONWEALTH DAY, a day to celebrate the ties of friendship and practical cooperation between the Commonwealth of Nations. 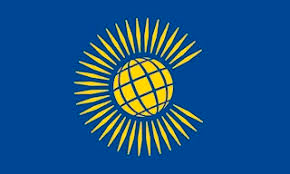 The theme of this year’s Commonwealth Day is Towards a Common Future and the day of celebration will be followed by meetings between the heads of the 53 nations in the Commonwealth when they gather ‘to respond to global challenges, and deliver a more prosperous, secure, sustainable and fair future for all of our citizens, particularly our young people’. The vision and commitment of these nations to work together goes back long before the forming of the Commonwealth, and it got me to thinking about the Holdsworth Mission Hospital in Mysore, South India, a hospital brought about more than a century ago by cooperation between people of the United Kingdom and India. 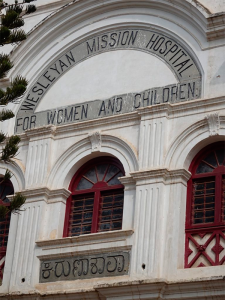 Through the work of missionaries from the Methodist Missionary Society, notably Mary Holdsworth and the Rev George Sawday, and a gift of land by the Maharaja of Mysore, the Mary Calvert Holdsworth Memorial Hospital came into being in 1906 to serve the needs of women and children in Mysore city. It was a time when cholera, typhoid and plague were endemic, and there was nowhere for women and children to go for help. Holdsworth Hospital, also named ‘Karuna Shala’ (Home of Compassion), offered medical care to people of all creeds and castes, whatever their means. The hospital grew in its work and established a nurses’ training school. 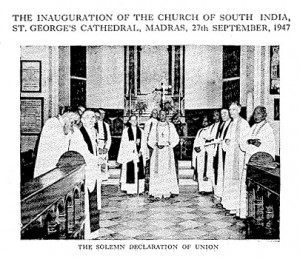 In the late-1940s when the Church of South India was formed, Holdsworth Hospital, among other Methodist institutions, was handed over to the CSI, with the Methodist Missionary Society continuing to fund a number of doctors, nurses, pathologists and pharmacy staff during a time of transition of management into the hands of the Church of South India. 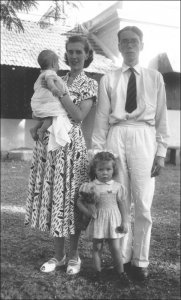 One of the Methodist missionary doctors was my father, Frank Ivor Tovey OBE FRCS, who arrived as a young surgeon in 1951. His first role was to open a men’s department, this being a requirement for nurse training to continue. He worked at Holdsworth Hospital for 16 years, during which time the hospital developed its work and became an Indian run institution. 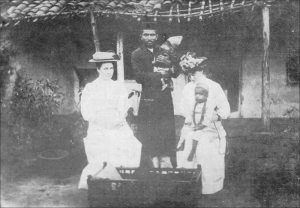 My mother, Winifred Tovey, also supported the work of the hospital, working voluntarily, as was the case with many missionaries’ wives. She raised funds for special equipment and projects, obtaining grants and setting up leprosy clinics and the rehabilitation of leprosy patients, which resulted in a very low incidence of leprosy in the surrounding area. Years later, when she was in her 90s, Winnie wrote her book, Cor Blimey! Where ‘ave you come from? 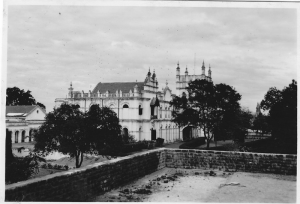 in which she describes the story of Holdsworth Hospital and the interesting times she experienced in Mysore through the 1950s and ‘60s. Today the Holdsworth Hospital continues as the Home of Compassion, its dedicated staff still delivering the highest standard of care, although facing the same challenges of old buildings and a chronic lack of funds. 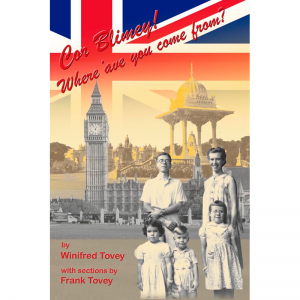 Listen to Winnie and Frank Tovey talking to Libby Purves on BBC Radio 4’s ‘Midweek’ programme, 28th December 2011.